Happy Fourth to those of you in the States! To the rest of you, happy Friday! 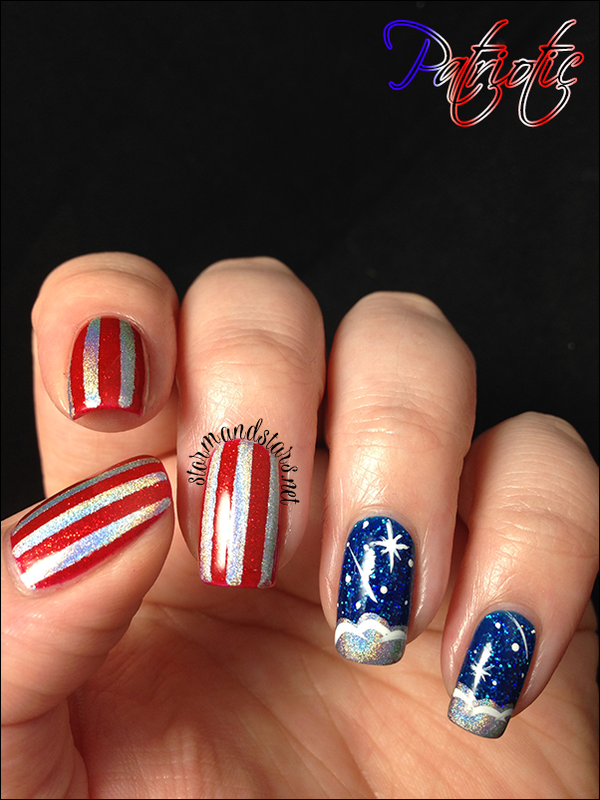 Today I had the holiday off, so I had plenty of time to put together these 4th of July nails for The Nail Art Guild's Patriotic theme. I had a few designs bouncing around in my head but I went with a loose translation of the American flag. I started with a base of Stardust Polish Retro Ruby on my thumb, index and middle fingers and Kinda Jazzy on my ring and pinkie. For the stripes, I used some Nail Vinyls and Color Club Harp On It. 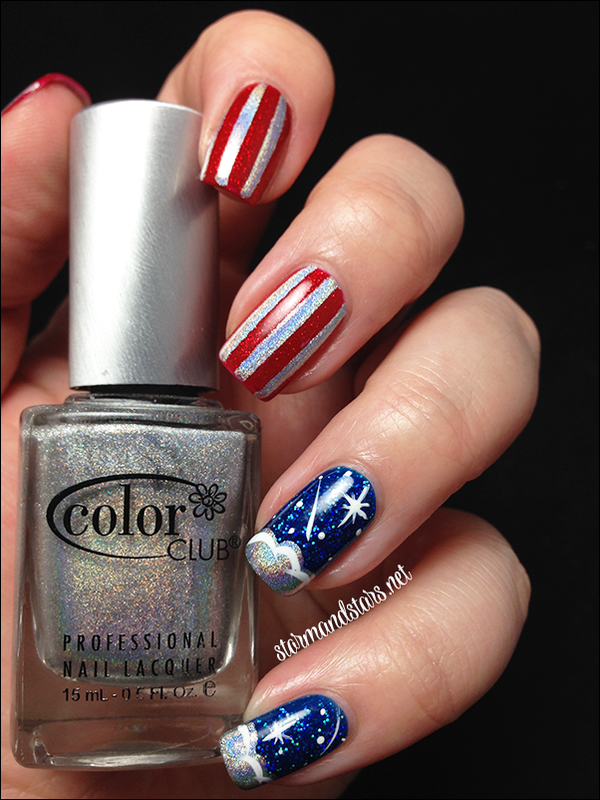 To do the stars and clouds on the blue I used Color Club Harp On It again to make some clouds on the tips of my nails. Then I went in with my white acrylic paint and a tiny tiny dotting tool and made a few white dots on each of the nails. I went back in with my white Stripe Rite striper and made some stars and even a couple falling stars. To finish, I added some definition to the clouds with the white. After It all dried I added a good coat of Seche Vite topcoat to make everything smooth and shiny. I am sooooo happy with the way these came out and I even had a prop that made sense this time! 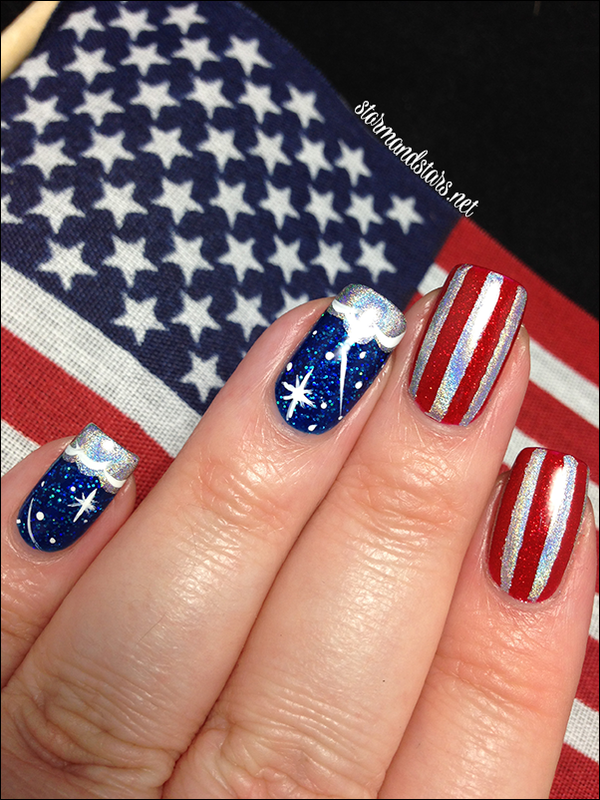 Make sure you check out all the other Nail Art Guild manicures from this week over at the #TNAGpatriotic tag on Instagram and at the following nail artists pages! 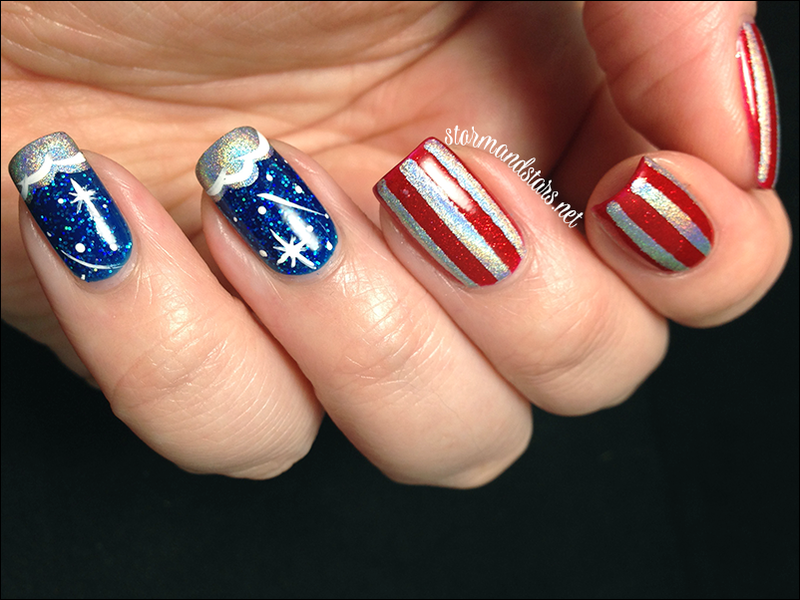 I hope you enjoyed this nail art and I promise to have more for you all soon! Storm, your work is impeccably neat and sharp. 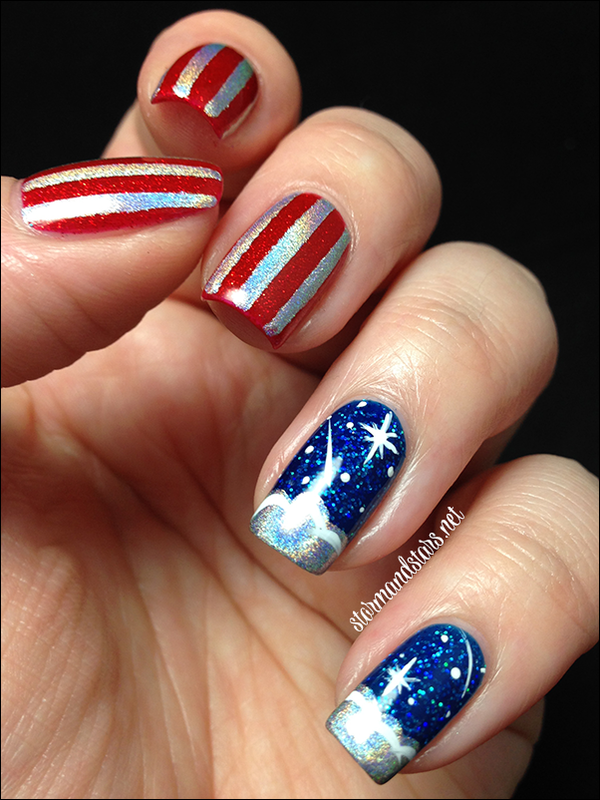 I enjoy this rendition of patriotic nails!